Experience super-bouncy sliding fun with water on the Mystic Combo. 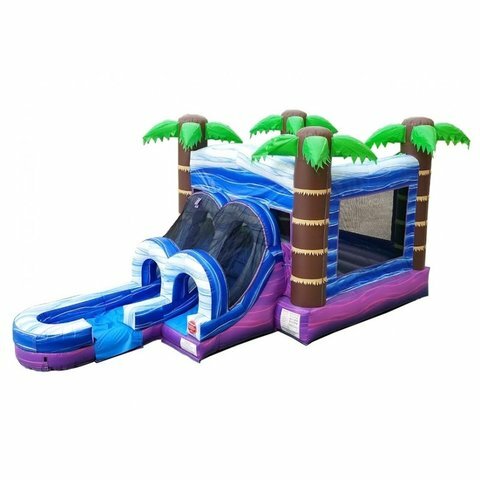 Towering palm trees stand around your bouncy house to give it a tropical feel no matter where you live! Enter the safe closing bouncy house and jump to your heart's content. To add to the fun, attach a hose to the inflatable for a wet water slide that ends in the splash down pool at the bottom. Make your next backyard celebration a big hit with the Mystic Combo inflatable. It's fun for kids, and just as much fun for adults! Reserve for your party today!